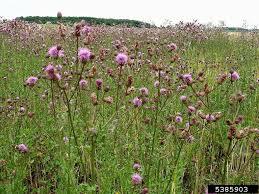 Habitat: Pastures, crops, landscape areas throughout Ohio. 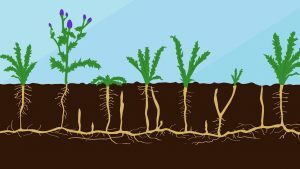 Life cycle: Perennial with creeping roots. Growth Habit: 1-3 feet high, erect, branched; forming large patches. 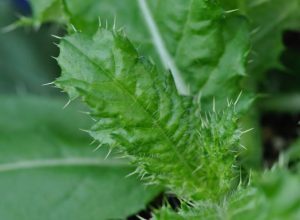 Leaves: 3-8 inches long, alternate with spiny, crinkled margins; lower leaves are lobed. Stems: Grooved and becoming hairy with age; not spiny; branched at apex. Flower: Lavender flower heads about 1 inch wide and long. Flowers are surrounded by bracts without spiny tips. Fruits: Seeds borne in white feathery structures, similar to dandelion, spread by wind. 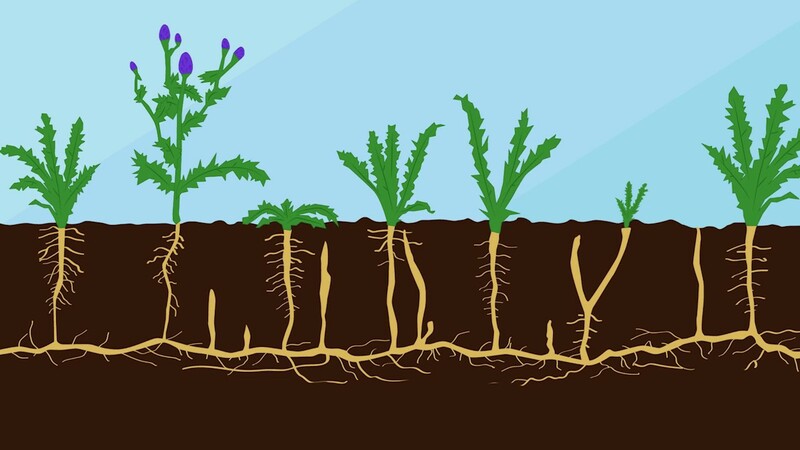 Roots: A creeping root system allows this weed to spread aggressively. Hand-pulling and cultivation are often ineffective control mechanisms because new plants sprout from root pieces that snap off. Similar plants: Stems of Canada thistle are not spiny in contrast to bull thistle (Cirsium vulgare) and nodding thistle (Carduus nutans). The problem is…. An aggressive, spreading root system. 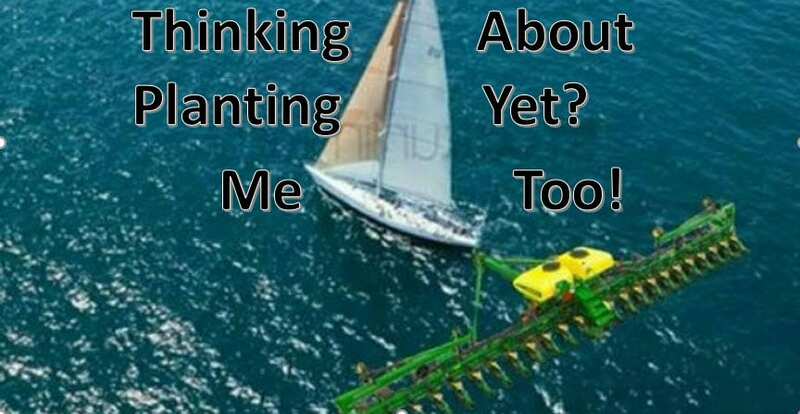 Very competitive with field crops and forages. 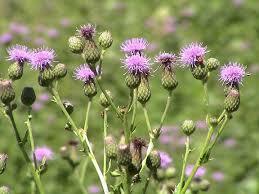 Canada thistle is also prolific in seed production at 700 seeds per stem. Seeds are dispersed by wind and birds. Each week, for the next 21 weeks, I will post information and pictures on how to identify these invasive and harmful plants. 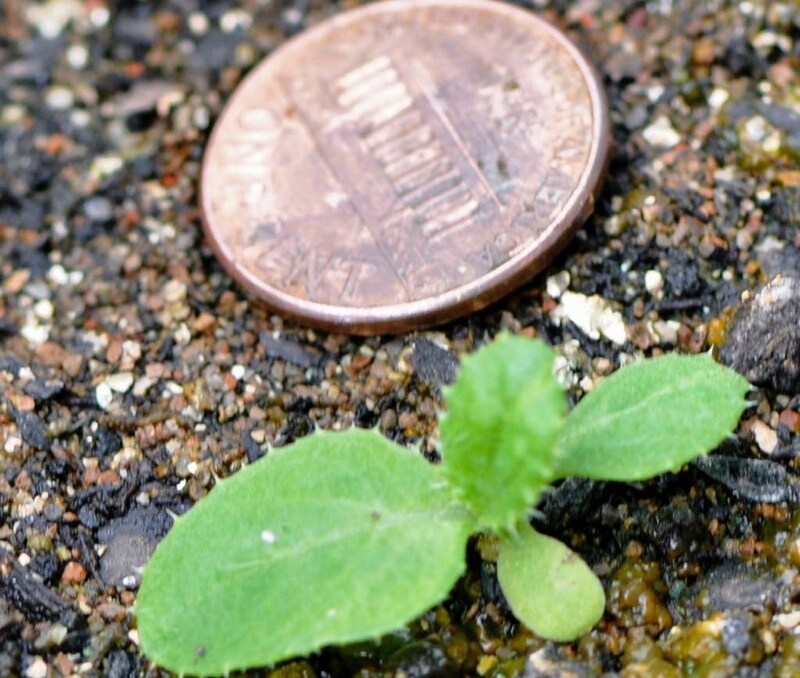 Posted by John at 8:37pm May 24, 2018 Posted in Field Crops, Forage, Law, Livestock, Noxious Weeds, Pasture, Weeds. Bookmark the permalink.